Last year's swimmers passing all those smug otters. I was on the run leg. Slowing to a walk and then pushing myself to pick up each foot a little faster, repeating the number of steps to one-hundred and starting again at one. The waves had packed the sand down hard along the foam-line, and the crystal-green ocean views almost made up for the act of running. Almost. I spit on the ground and blamed the syrupy horribleness that is Gatorade for the screaming nausea that made me believe there is something on earth worse than running. Never, ever, ever leave for a race without making certain your usual nutrition is in your bag. I pushed myself to catch the woman in front of me. 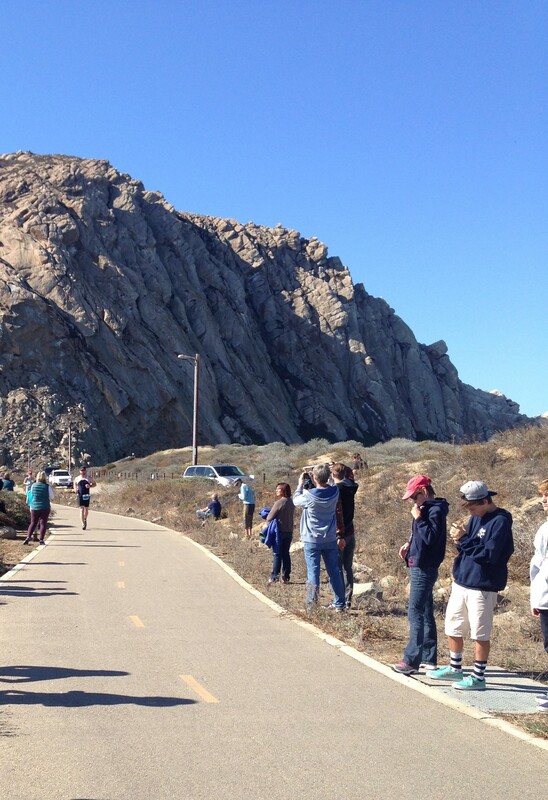 She was jogging toward Morro Rock and the finish line. I steadied my eyes on her blue running cap, closing in on her with each step. I would catch her and beat her to the finish. I picked up my pace. I inched toward her. The blue cap got closer and closer all the while I pumped myself up. I was catching her! She would cross way behind me! It would be a crushing blow for her. Yes, I looked so awesome. This was my day! “Having a good race?” I shouted as I caught up to her.
. . . . . . . I totally beat her. OK, so maybe not my finest moment. But I’m pretty sure I’ve never uttered the words “finest moment” and “running” in the same sentence. 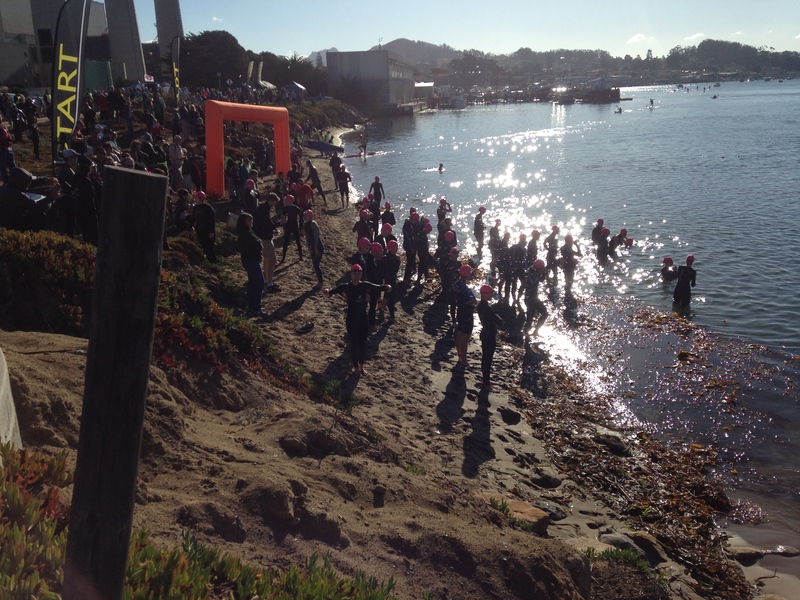 But this year, the Morro Bay Triathlon is out to rectify that past ill. How? Their inaugural Aquabike! No longer will we run-challenged individuals have to suffer through another 5 or 10K. And that fact, along with the other very cool options the race organizers have in store, make this tri one of the best in California. Perhaps one of the most all-encompassing events out there these days, the Morro Bay Triathlon has several race options for discerning athletes. If you don’t like the open water swim, try the Kayak/StandUp Paddleboard leg. If you hate running, try the Aquabike. If you hate riding bikes, well, no pity will be taken on you 😉 . There’s something for everyone here, and it’s all set against the backdrop of one of the most beautiful coastal cities in California. Sprint and Olympic Relays: pick your favorite discipline, and leave the others to your friends. The organization of this race is top-notch, and directed by a world-class triathlete. Oftentimes, events with so many categories end up lost in the confusion of start times and finishing lines. But All Out Events (the organizers) knows how to put on a good race with clear course markings, and plenty of announcement well in advance of your starting wave. Kayakers and SUP folks start first, in a makeshift starting line in the bay. This means you won’t have to drag your kayak out into the water and get your rudders set and whatnot–you’ll be ready to start paddling the moment they blow the air horn. Both the SUPs and kayakers start at the same time, but have separate destinations. In fact, I completed the kayak option the first year I participated in the event, and it was a welcome change from the scrum of the swim start. I led out the pack for a while, but hadn’t practiced enough of the full 3-mile distance, and ended up returning to the beach in fourth place. If you’re game for this option, make sure you work on your paddling. It’s a loooong way from one end of the bay to the other, and if you’ve been neglecting arm and core workouts, you’ll feel spent quickly. The SUP option, on the other hand, is quite a short out and back. If you don’t own a kayak or SUP, you can also rent one as part of your race registration. But one note here: as someone who owns and raced in a touring kayak (long, fast, sleek, and steers with a rudder), there is a vast difference in speed from the generally sit-on-top kayaks that you can rent through the race. That having been said, the top two finishers in the paddle option actually rented their touring kayaks at another rental shop on the Embarcadero. Just something to think about, though the hassle of renting the boat and bringing it to the shore may not be worth getting one for yourself–the race organizers will do all the hard work for you if you rent from them, which is pretty cool. Since this is the first year they’ll be offering the run-less option, I can’t exactly comment on how it will go. But, as I understand it, it will follow the same course as the regular triathlon, but will simply finish at the conclusion of the bike leg–no run involved! This year will feature a new course that takes advantage of the upgrades to the existing bike paths that run along the rock. Very cool. The swim starts on Mother’s Beach, which is a short, sloping, and often loose sandy area at the very end of the Embarcadero. A new course this year takes swimmers in a triangle along the protected bay, which is generally fairly calm. You shouldn’t face much choppy water unless the wind has hit the bay early (but the start times are early enough that the bay should be glassy and calm). The bike course this year avoids the steep starting hill of past years and instead takes you along the new bike path toward Cayucos, and beyond if you’re in the Olympic wave. Highway 1 runs along the ocean, and gives you plenty of pretty views along the way. As courses go, the sprint one is relatively easy with a few areas of short climbs, but nothing too difficult. The true challenge is often the crosswinds. As for the Olympic course, prepare for a steady climb as soon as you pass the sprint distance turnaround. Most of the way out toward the turnaround is uphill, but with only a few sections of steep climbing. The good news? The way back is almost all downhill! You’ll gain some serious speed coming back. The run is perhaps the most challenging of the legs. Although the home stretch is on generally packed sand, the way out takes you through a mix of trail, asphalt path, and deep sand billows. Be prepared to run on a variety of surfaces. Date: The Morro Bay Tri takes place on Sunday, November 8th, 2015 (bummer for we churchgoers out there). Start: Coleman Park on the bike and boardwalk path along the bay and at the foot of Morro Rock. Be prepared to see some otters in all their otter glory as they paddle smugly near the finish line. Weather: Although November is generally one of the warmer and sunnier months on the coast, the last few years have seen a relatively cool race day. 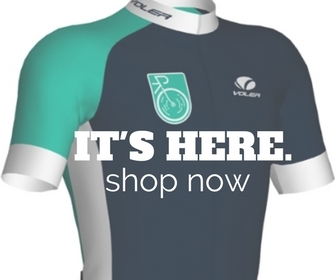 Consider bringing a light layer that you may or may not shed on the bike course. Temperatures are generally in the 60s, but often climb into the 70s and 80s at that time of year. So, yes, layering is a great idea. But, no matter what, you should definitely prepare for wind. As races go, the Morro Bay Tri is pretty reasonably priced, especially if you get in before prices go up on March 1st. Student and military discounts are also available. I’d list out all the prices and deadlines here, but since the race organizers have already done that for me, I’ll just send you to the official MB Tri website for more info and to register. If you want to get stoked for the race, be sure to watch this footage from the 2014 MB Tri. Sure to get you pumped up as you train. So that’s my quick guide to this very cool event. Have questions? 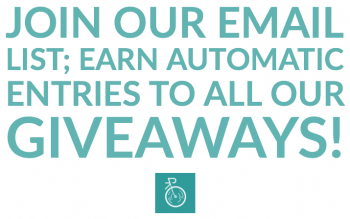 Leave a comment! This is so wonderful! Beautifully written. We’re also very excited for 2015! See you there! Thanks, Kaori! So excited for 2015!